Anyway, that’s not really what I wanted to talk about. I was thinking about duality and unity for a while. and I couldn’t stop wondering whether one should use purple or Yellow to represent unity. have a look. Yeah, it needs some work. you know, nothing works the way it should when making these things. There. That’s better. Sure, It could be better, but computer graphics isn’t an area that I am gifted in. What do you think? It’s the Cadecous. (and it has absolutely nothing to do with medicine!) 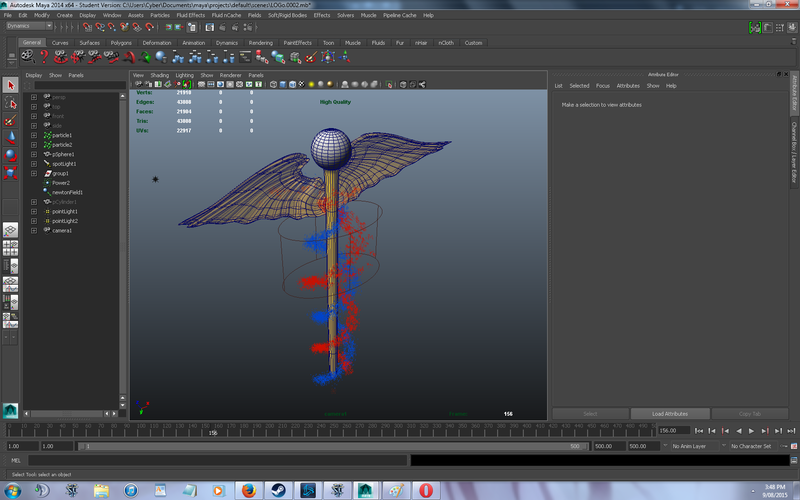 Rendered in 3-D.
What on earth Am I on about? Well, Are you familiar with the ‘chakra’ system and the subtle body? Well, It is basically a reverse rainbow, from red to purple. Now, this system is heavily simplified and somewhat misleading, but gets the basic idea across. The highest chakra situated in the physical body, the crown or Sahasrara in Sanskrit. That is essentially the gateway into the other worlds. but do you really want to strive to reach these higher planes? You wouldn’t believe the rubbish people peddle these days. half-truths, half-baked understanding, and just downright deception. I just can’t help but wondering if we are all going the wrong way. striving to climb when we should be walking forwards. because in all honesty, I get the feeling that these higher realms are not all they are cracked up to be. that’s what a friend of mine once told me. Look at all that yellow. And the “Sun” with the eye. And After all, we are already here, and not there. if it was so good, why did we come here in the first place? 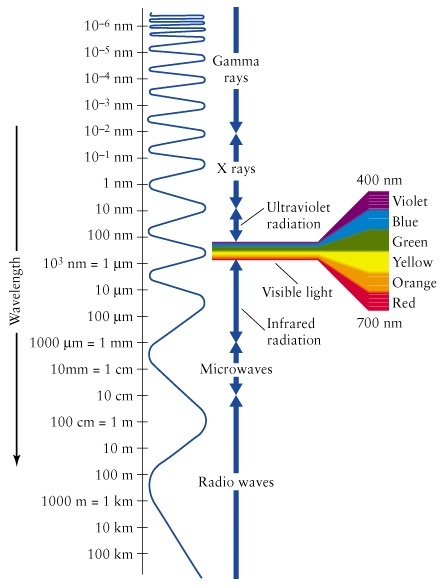 Have a look at the visible spectrum. You pretty-much have (in my opinion) blue and red as the feminine and masculine. maybe that’s a load of nonsense. I don’t really know. that’s for you to decide. to transcend beyond both would create purple. to follow the middle pillar, you would get that lovely yellow that people love to use. yeah, sun worship is still really popular. I suppose I’m not exactly sure how to explain what I’m trying to say. But it is clear to me that I am onto something. Because these symbols contain the same things. same red and blue symbolism, accompanied by things I don’t understand yet. although these things are usually really simple. that’s a recurring thing in esoteric teachings. they are simple, and yet complicated at the same time. Anyway, I just found some more stuff to read. Will continue this later. thanks for reading.